Times Past: Prompt 2 Women’s Work? The first prompt in the series proved my pre conceived ideas to be incorrect. The prompt The first time I remember eating in a restaurant in the evening had 11 responses and all found it was rare in their childhood to eat out. Some wonderful stories were told that gave an insight back into the lives of the one Silent Generation, 9 Baby Boomers and 2 Gen X. Surprisingly it was the Baby Boomers who were later eating out than the other generations with the average age 10.5. The numbers though are certainly not statistically significant. Many of the baby boomers mentioned that they had to be on their very best behaviour as did the one silent generation. Perhaps Gen X had a little more freedom to be themselves. The numbers were for the baby Boomers equally spread between UK and USA with 1 Australian and also equally spread as far as country and city. Gen X were both rural – one in the UK and the other USA. Perhaps if some Gen X city children had participated we may have found that they were more inclined to eat out. Thanks to Grandmama. Sherri, Judy, Deborah, Geoff, Anne, Jules, Jeanne, Christine, Charli, and Lisa. I have to admit I remember little about washing. I don’t know whether Mum had a regular day for doing it or not. I wouldn’t be surprised if she did as most things were set to a routine when I was growing up. I do however remember three things about laundry very clearly. The first was my Grandmother’s mode of washing, which was different to ours as my Mum always had an automatic machine (in my memory). When we visited Grandma in Sydney I used to love her washing day which definitely was on a routine day every week. She had a copper in which water was boiled and she dropped all the items into this very hot water. She let them soak for a bit then with a well worn pole which had the pattina of a well-used wooden spoon, she rotated the clothes. Items that were stained such as shirt collars she would soap up and rub up and down a board which was the same type of wood as the pole. After emptying the water she would put the clothes in the laundry tub in cold water, agitate them around to get the suds off and then, if I had been good, she would allow me to feed them through the two rollers to squeeze every last drop of water out. The second laundry memory was at my other Grandma’s house also in Sydney. All the cousins were staying including a baby. Sneaking into the laundry in a game of hide and seek we discovered a row of buckets filled with nappies and the most incredibly slimy water I have ever felt in my life. The only task I had to do with regard to the laundry was ironing the hankies and the pillowslips. This was normally done on a weekend night. My mother would sprinkle water over all the clean clothes and roll them up damp in readiness for ironing. There were no steam irons then and the water was designed to take the creases out of the clothes. I hated having to do the ironing. It was a boring thankless task that seemed to never end. Now I do as little ironing as possible. The clothes line I do remember. Not for hanging the wet clothes on but because of it acting as a merry-go-round. We used to stand on our tip-toes in order to reach the ban and then we would run until eventually our speed was such that we could bend our knees, taking our feet off the ground and fly around using the momentum we had generated. Nearly everyone had a Hills Hoist clothesline when we were growing up. I can remember being jealous of the odd farmer that still had two strands of wire strung between two posts and I was definitely jealous of the odd person who covered their Hills Hoist to give them a huge umbrella. Huge umbrellas had not yet been invented. I’m looking forward to your memories of the laundry. This entry was posted in Memoir, Past Challenge and tagged generational changes, irene waters, laundry, memoir, times past challenge, wash day. Bookmark the permalink. 62 Responses to Times Past: Prompt 2 Women’s Work? I’m looking forward to your story Jules. Lovely to have the two perspectives with past and present. It was an Australian invention made initially for Mrs Hill and then for their friends. He made them in the home’s garage initially but the idea was so good he soon took it to a factory and then world wide it would seem. They have always been known as Hills Hoists for that reason.The original ones didn’t collapse like an umbrella but they were great to swing around on. Puppies were always a problem with them too as they enjoyed latching onto the clothes and flying around. Where I live there aren’t too many of them as most people seem to have a type that attaches to a fence and can be folded down out of the way. Space is at a premium here and no-one wants to look at a clothesline. I actually have it ready… not as exciting as the last. But hopefully I’ll get to post it this week or weekend. Laundry can never be that exciting but something that we don’t too often think of. I have already learnt of gas washing machines. Lots of life in these little details. And I can see that little courtyard in Italy with the sheets and towels flapping. This is proving fun and insightful. Already I can tell you what a huge generational difference this is, yet laundry was still my mother’s job. It’s one of my least favorite chores and I loathed the laundry monsters we used to create when the kids were little. I’ll have to think about how to tell this one. Like Jules, I didn’t know the circular clotheslines had a name. I love sun dried sheets! This one was tough for me! You’ll read why… http://carrotranch.com/2016/02/28/times-past-mystery-of-laundry/ Thanks for the thoughtful reflection! Loved your reflection Charli and could relate to much of what you wrote. It seems the two Gen Xers have in some way managed to break the mould of women’s business. Just when you have time Sherri we’ll look forward to what light you throw on the subject. An upside down umbrella sounds weird. I think I have seen inside clothes airers of that design but one for outside never. I have a drier but I never use it. My Mum got one when we left the country for the city. We did in those days have days on end of wet weather and I guess we didn’t have as many towels and clothes so had to wash more frequently. I have lots of stuff so I can survive days without washing and ironing. Not my favourite job either but I still prefer to do it than hand it over to Roger. He puts everything in together and doesn’t hang it so that it needs little ironing afterwards. That to me is very important. Glad you enjoyed the summary. Probably not enough of a sample number to draw definite conclusions but looking at the comments on your site certainly it was a rarity for most of your readers to eat out. I don’t think there were any under 12. Hope the Chinese was good – but how could it not be. See you next week. I love your articles which take a look into the past. I am of the Silent Generation, but prefer to call it, as some do, the “Lucky Few”, hence the name of my blog. In our home, my mother worked hard to do laundry at least twice a week. My earliest memories were of the washboard (yes, really! ), on which she scrubbed the clothing by hand. She had a hand wringer and put each article through that. We were allowed to help her with that part. We were a large family, so there was a great deal of laundry. Later, my mother purchased a gas fired washing machine, which was so noisy that the wash had to be done in a shed outside. Drying the clothing in the summer was a treat, and I can remember the colorful line of clothing, sheets and towels hung our by clothespins on the clothesline, which was strung out between two long poles in the yard. Winter drying was more of a challenge, since many of the heavier items had to brought in to dry on a line in the warm kitchen. My mother was a miracle worker, and I marvel at how hard she worked to provide seven children with a home, doing everything “from scratch”, including baking bread and sewing clothing. I talk about my life on the farm in my blog, under “A senior remembers”. It’s amazing how my memories flow from so long ago. Thank you, for giving me a focus for some of them! I think early women really had a tough life. Nothing was easy and yet it seemed most did it with skill and ease. I wonder were they better trained than I was in what their role was in life or did they just grin and bear it. I struggle to do women’s work and yet my forebears and your Mum (with 7 children) did so much more. Amazing women. Glad to hear your memories are flowing Diane. I’m looking forward to the day I haven’t got a deadline to meet and I can drop over to visit you and leisurely read what life was like for you on the farm. Geographically you are far removed from me and of a different , lucky generation and I know I am going to soak up a different world. The washing machine you included is quite different—we didn’t have Maytags. But the machinery underneath appears to be the same. Thank you for your thoughts and encouragement! I’d never heard of a gas machine so I was keen to find out what it may look like. Sharon Bonin-Pratt wrote:- Oh, now I see the Hills Hoist – in the shadow cast across baby Irene! Great photo! You are adorable. We had a washing machine in Hawaii the two years we lived there, but not a dryer. Hanging the laundry fell to me – baskets and baskets of it, draped over about 6 long strands of line in one section of the yard. Siblings were much younger and very spoiled, so their only job was making a mess. I hated hanging the laundry as the lines were way over my head and my arms and shoulders always ached, but I made sure to do a good job. Then of course I had to haul them in and fold them. The laundry did smell fresh and sweet. When we moved to California and had both washer and dryer, I often ironed for the whole family. It seemed that no matter how much older my sibs got, they were never old enough to take on any household tasks. Never found doing work for the entire family rewarding in any way. Baby boomer, oldest kid in my family. Thanks for sharing your wonderful memories of laundry. It sounds as though it was back breaking work for you and perhaps being the oldest will turn out to be more important than what generation you belonged to. I’m including you in the compilation. Thank you Ellen. Your description of wash day was great. I could see the steam rising off the boiling water. A Burco boiler was not something I grew up with. I find it hard to comprehend that your mother resisted an automatic machine until 1968. Just shows how women didn’t shirk hard work. Possibly it was only that more women started working that automatic machines became more common as women replaced one type of work for another. Could you let me know if you are a baby boomer and whether you lived rural or city and which country so I can include you in the right section. Thanks for joining in. Thanks Geoff. Lovely to have one of your followers join in as well as your good self of course. I’m supposing you and your brother didn’t help with the laundry — as the only male you are our gender pointer and I’m guessing there is a big difference between male and female – of our generation anyway. Thanks for taking part. Your Mother was awesome – I can’t believe she didn’t jump at having a washing machine. LOL. Glad to hear you are a new age man. I had visions of doing my washing down at the beach with the women on our island in Vanuatu. Banging them with gusto on the coral (the clothes wouldn’t have lasted long) and talking girl chat. In retrospect I’m glad they didn’t want me to join them although I was disappointed at the time. 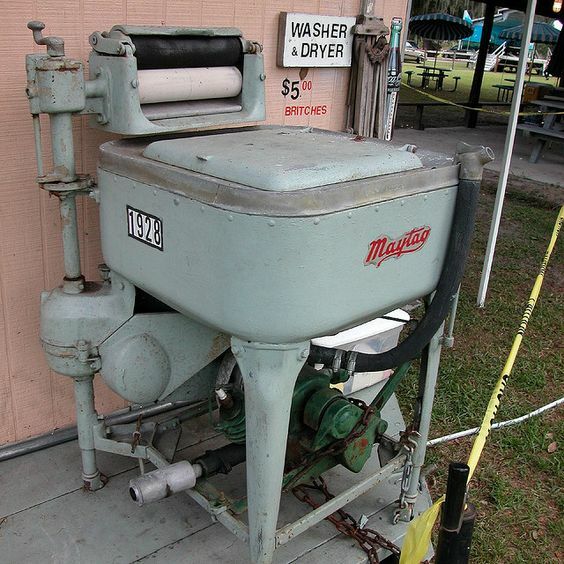 When she did get one it was a twintub top loader and still we were the launderers. Your Mum was lucky to have 4 girls. Just think if she’d had four boys I guess one would take out the garbage, 1 mow the lawn another rake and 1 would have a day off. Girls seemed to draw the short end of the straw. Just amazing the resistance to making work easier. The resistance was to making “our” lives easier, that wasn’t happening. I’m thinking I’m glad I wasn’t a girl in your family – at least when it came to laundry. Thanks Jules. What a wonderful vision you have given us of your life in laundry. Glad you took part as you added a rich layer of suds to the laundry. Thank you… after all a memoir… is our memories. Glad you did manage it as it is a great flash memoir and congratulations on your competition win. It is a great piece of writing Anne which I think will live on to haunt me. Well done. And impact it had. Seriously it was great. Isn’t that interesting that we both remember our grandmother’s laundry so clearly? I think you’re right, it must be the wooden wringer. Talking of which, I’m glad you called it a wringer. My fellow Brits called it a mangle in their comments, but I notice our American friends called it a wringer. This had me thinking. Did I always call it a wringer or was that one of many words I adopted from living in the US so long that it became second nature? Or, I wonder if it depends on whereabouts in Britian we are from? We have so many dialects. I’m going to have to go away and check with my mum on this. Hubby says he would call it a mangle, but he is from Dorset/Somerset. Hmmmm…. I have heard the term mangle but I don’t know whether it was in common usage here. My Great-Grandmother’s husband (the bigamist) was an American and I don’t know whether my Grandma got the term from him, whether it is used in Qld and not the other states — I don’t know either. Isn’t it fascinating going into our family history and not just for the different words? You mentioning your great-grandmother’s husband, the bigamist, reminded me of something quite earth shattering about my dad’s side of the family that my mother told me recently at her 80th birthday party. It doesn’t affect me directly, but it was something I had never realised before. I’ll let you know via email but I will say here that I sometimes wonder if my Dad’s family were like the British mafia, I kid you not!!! Loved this post Lisa. You have prompted so many memories for me and also given me info on items I have never heard of. Thank you for participating and yes you got it in with at least a couple of hours up your sleeve (more in reality as I will sleep before I post). 🙂 Hope your Mum has forgiven you. Yes its been great. I’ve never been a great feminist although if we didn’t have the vote and our wages weren’t on a par I think I would have been fighting the cause. I guess I have been lucky that I have never been discriminated against as a woman and grown up in a family where I thought the woman was boss (not that my Dad was a wimp) and she went out to work and although she was particular about the house (an area in which I then rebelled) the house was not her world as it was with a lot of other Mum’s. As for myself now I wonder sometimes if I am a woman as i do few womanly tasks. On a world stage women may not be there in the numbers but they certainly are there. I don’t hold with eg political parties saying we must be made up of so many women, so many indigenous, so many minority representatives etc. I think it should be taken soley on merit and the best man in the job. And I hate politically correct language.